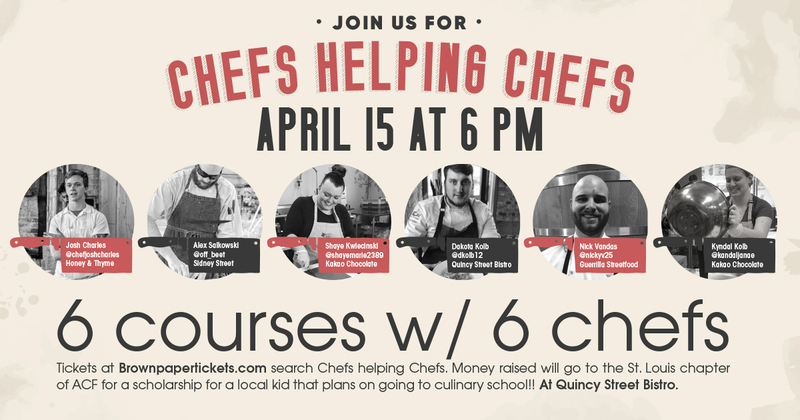 Chef's Helping Chefs - Events - ACF Chefs de Cuisine Association of St. Louis, Inc.
Join Us on April 15th, 2018 for an incredible eating experience cooked up by some of the most talented young chefs in St. Louis. Each course is a direct representation of who that chef is or what their inspiration came from. The courses will be paired with a wine that compliments the flavor profile and the overall feel of the dish.